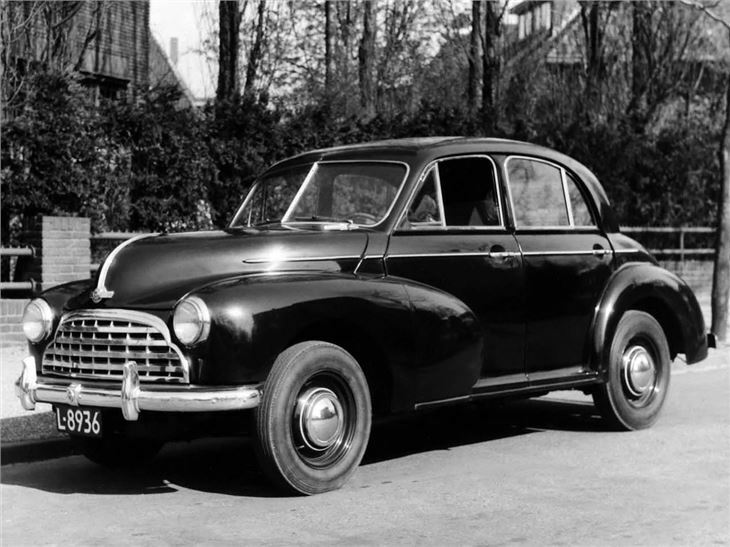 The Morris Oxford MO was launched alongside the Minor MM and Six MS at the 1948 Earls Court motor show. 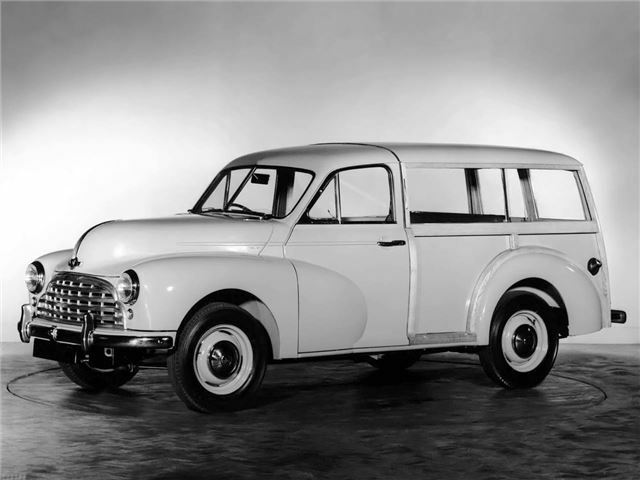 It was a clear statement that Morris understood how to build a range of family cars that looked homogenous, and interesting. All three models effectively shared the same styling, just scaled according to market pretention. 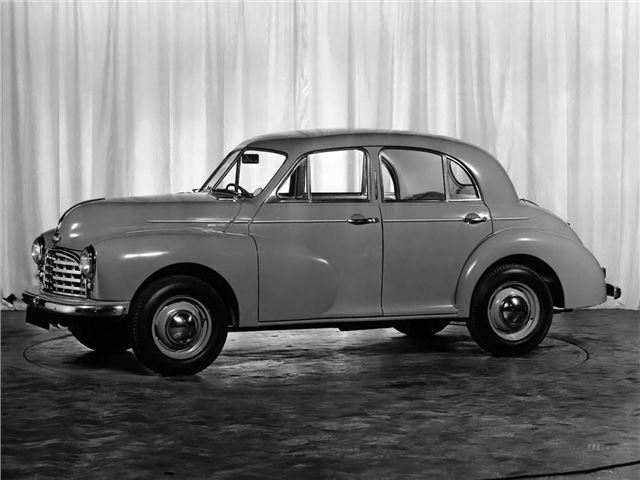 They all shared elements of the 'Mosquito' design by Issigonis, Jobs and Daniels. The Nuffield Group had high expectations of the mid-range Oxford MO, especially in the envisaged export markets. They never suspected that the Minor would outlive the Oxford by 17 years. Early cars can be identified by their 'deadly' pointed bonnet. At the rear you should find a boot lid with numberplate pressing, incorporating a D-light. Many cars however lost this characteristic feature and are equipped with the later type lid (the original part has become very sought after). During production, the MO underwent a series of changes. The bonnet lost its deadly points, a less elegant but more flexible mounting for the rear number plate was introduced, several types of rear lights appeared, separate sidelights found a place beneath the headlights, the rear window blind gave way to a new rear view mirror and the ‘Rotadip’ rust proofing procedure led to a hole in the battery bay. All these modifications followed more or less their own timetable sometimes leading to a confusing situation. A very extensive listing of changes can be found in Steve McNicol’s 'Morris Oxford MO', a 1991 Railmac publication. The most noticeable change affected the radiator grille. Up to October 1952, it was a one-piece heavyweight in chromed Mazac. It then changed its appearance and consisted of two stainless steel parts. The basic layout was carried over to the Morris Oxford Series II. Around the same time, some subtle changes occurred in the interior as well. The black crinkled finish of the central dashboard section was dropped in favour of smooth metal painted gold, like the rest of the facia. The instruments now show black dials. It's amazing, however, how these sturdy blocks survived more than 50 years of service, propelling MO's in today's traffic often maintaining cruising speeds of 60mph. Compare that to a contemporary flat-four (in the Jowett Javelin), famous for - according to one author - its self-drowning capabilities in wet weather. A wood-framed Traveller estate was introduced in 1952, pre-dating the similar Minor by a year. These have collector appeal, are now very rare. Thanks to: The 6/80 & MO Club for their help with this article. 1925 Morris Oxford 2-seat &amp; dickey "Bullnose"